Finally, there is cash for cars near me paying the most money for pre-owned cars, trucks, vans and SUV’s. Furthermore, it is no longer necessary to ponder how to sell my car. 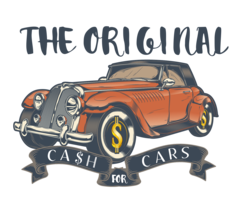 The Original Cash For Cars will buy any car, truck, van or SUV and pay cash on the spot, paying the most money on Long Island for all vehicles, late models are our specialty. Although we pay the most money on Long Island for running, later model cars, we buy any car. Cash for Cars can also facilitate the removal of any older, not running vehicles as well. Click here for your FREE QUOTE. ALL vehicles are eligible for purchase consideration. From almost new to ready for the scrap heap, The Original Cash For Cars will buy them all and pays the most cash. Our buyers will buy any car, truck, van, or SUV, come to you to buy it, and remove it free of charge. Friendly, courteous drivers arrive on time, complete your transaction in a timely manner, and remove the vehicle fast. Is there a loan balance? No problem! Just bought it? OK! The phones are answered in a timely manner. You speak to a friendly, knowledgeable Vehicle Specialist. As a result, you get an easy to understand explanation of the value of your vehicle so you can make an informed decision. Drivers show up on time and complete the acquisition quickly. The newly acquired vehicle is taken away to a processing facility while customers are left standing there with a big grin and cash in hand! But we know, we know……. You never thought it would be this easy! Most importantly, you can contact us by filling in the easy form found on our site or calling 631-464-0404 to book your appointment. Get a pocket full of cash for cars near me. CALL NOW! © 2018 The Original Cash For Cars. All Rights Reserved.